The view is worth it though, whether you take the elevator or climb the stairs. Of course I did not climb to the very top, only to the first level. But that is certainly high enough and probably higher than you have climbed in awhile. 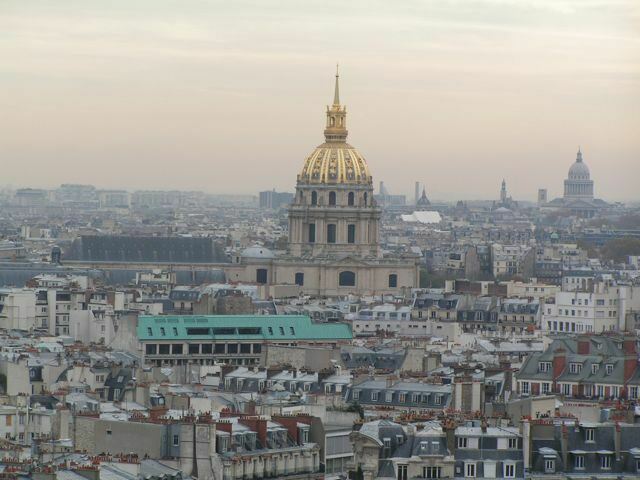 That is the Church of the Invalides and in the background is the Pantheon.